Poly Ranch Rope Made by Callaway. The three strand poly has a high tolerance for abuse. 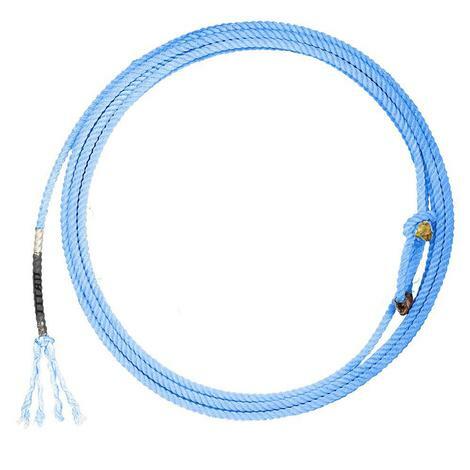 This ranch rope is 40 feet long and has a 10.5 mm diameter. Perfectly balanced weight teams up with ultra-fast feel and great body to make this rope a top-seller. The traditional nylon feel many ropers have come to love, with full body and longevity typically only found in blends. A light weight rope with a very tight and responsive feel. 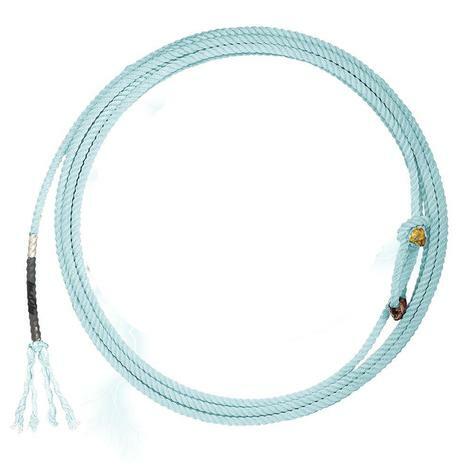 Catch like a predator with the new Shark 4 Strand from Lone Star Ropes. 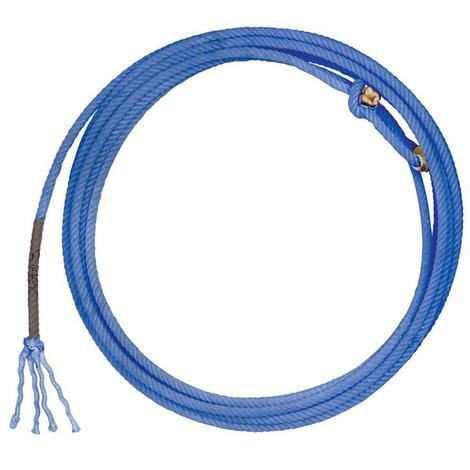 Developed with pro team member Patrick Smith, this rope packs a lot of body in a medium diameter and has a tip weight and feel like no other. 4 Strand. Medium diameter. Excellent tip feel. Substantial body. Nylon/poly blend. 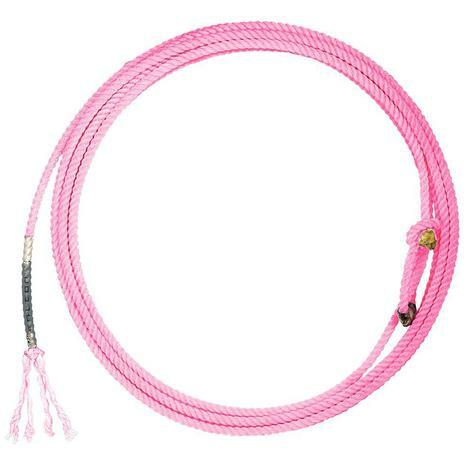 Cactus Buckaroo Ranch Rope 3/8" x 50"
The three-strand Buckaroo rope is very popular among working cowboys. 3/8" scant x 50' length. The three-strand Buckaroo rope is very popular among working cowboys. 3/8" scant x 40' length. 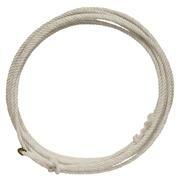 The three-strand Buckaroo rope is very popular among working cowboys. 3/8" scant x 45' length. 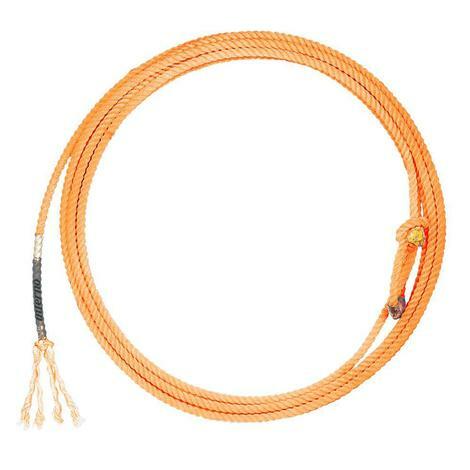 The three-strand Buckaroo rope is very popular among working cowboys. 3/8" scant x 60' length. 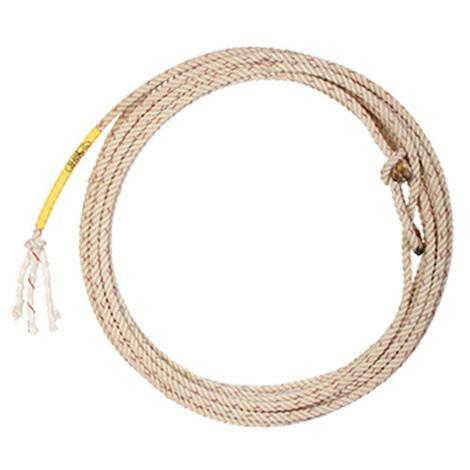 The three-strand Buckaroo rope is very popular among working cowboys. 7/16" scant x 40' length.